Isuzu Philippines Corporation (IPC) showed off 3 Public Utility Vehicle (PUV) prototypes at the Department of Transportation (DOTr) led Public Transport Modernization Expo which serves as official kick off show for the modernization of public transportation. Common on all 3 PUV prototypes is the Isuzu QKR platform, which runs on a Euro 4 compliant 4JH1-TC diesel engine that is capable to provide maximum power of 106 horsepower at 3,200 rpm and maximum torque of 230 Nm from 1,400-3,200 rpm. With a total gross vehicle weight (GVW) of 4,490 kilograms, the QKR sports a rear multi-leaf spring suspension for added passenger comfort. 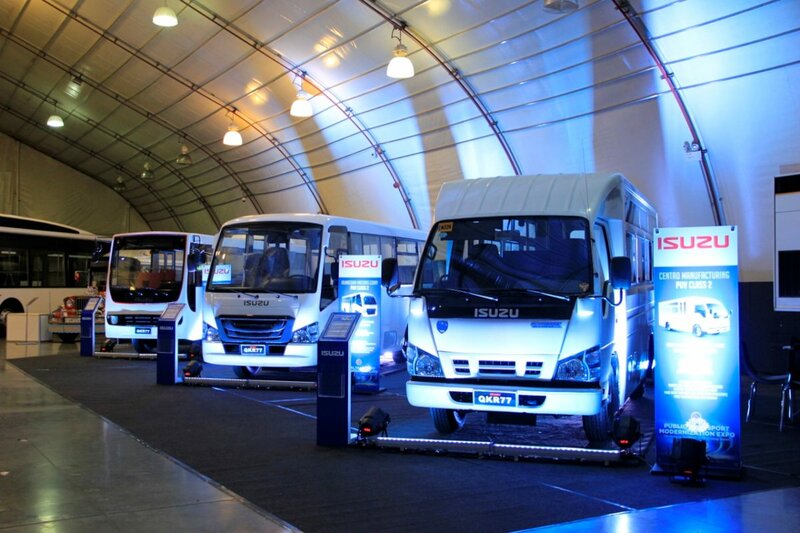 First on its display line-up is Isuzu’s collaboration with Centro Manufacturing Corporation. Designed as a jeeney substitute, the Isuzu-CENTRO Class II maintains a 23-passenger configuration thanks to its side-facing fixed foam seats. It also has sliding windows, an electric folding service door, and is fully air conditioned. 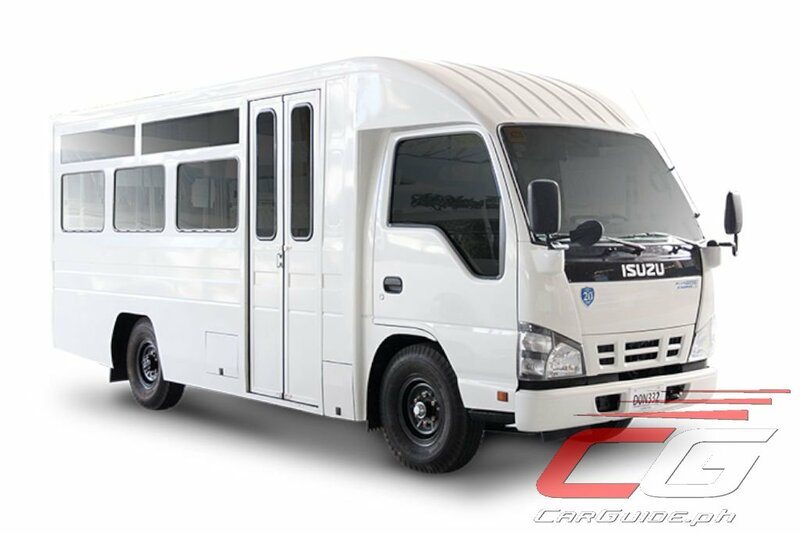 Classified within the same category is the Isuzu-ALMAZORA Class II prototype, with a special structural body designed by Almazora Motors Corporation. This prototype has a side-facing fiber glass seats with padded cushions, fiber glass and GI sheet combination body panels, panoramic glass windows, electric folding service doors, and is also fully air-conditioned. 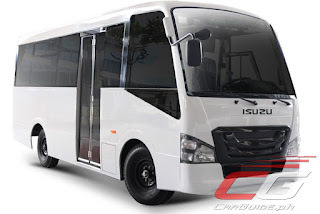 Lastly is Isuzu’s new body collaboration with Santarosa Motor Works: the Isuzu-SANTAROSA Class III PUV prototype. 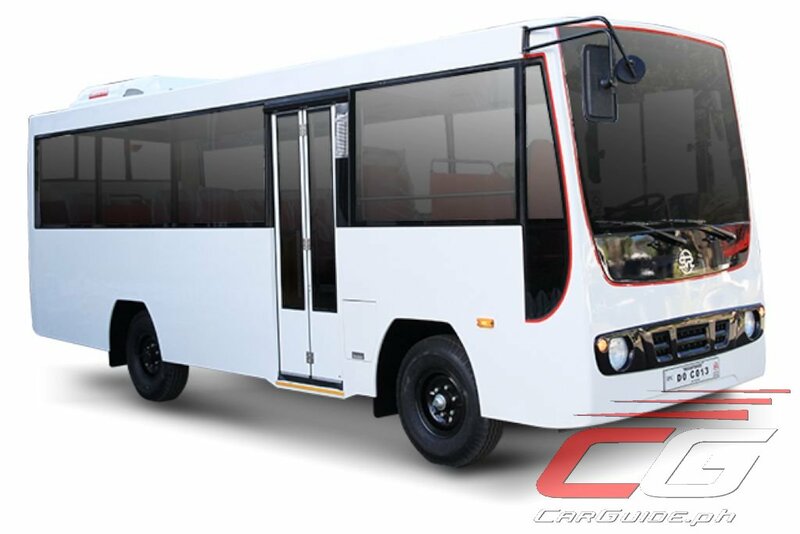 It has a 23-passenger front-facing seating layout, galvanized sheet body panels, panoramic folding service door, panoramic tempered glass windows, and a fully air-conditioned cabin with continuous room lighting. All the Isuzu prototypes conforms with the PUV standard class specifications as released by the Department of Trade and Industry - Bureau of Product Standards (DTI-BPS). “Our latest PUV display is a result of the test and development process we had with our previous prototypes. We try to work with different local body manufacturers to give our transport groups more designs to choose from,” said IPC President Hajime Koso. “Rest assured that we work closely with them to ensure the quality and safety of these new products,” he added. Aside from Isuzu’s renowned durability and fuel-efficiency, the company also highlights its advantage that keeps their customer loyal to the brand: nationwide dealer network, nationwide parts availability, expert service technicians, roadside assistance and technical training. All of these, will be part of the aftersales support the company will provide for every purchase of their PUV unit.